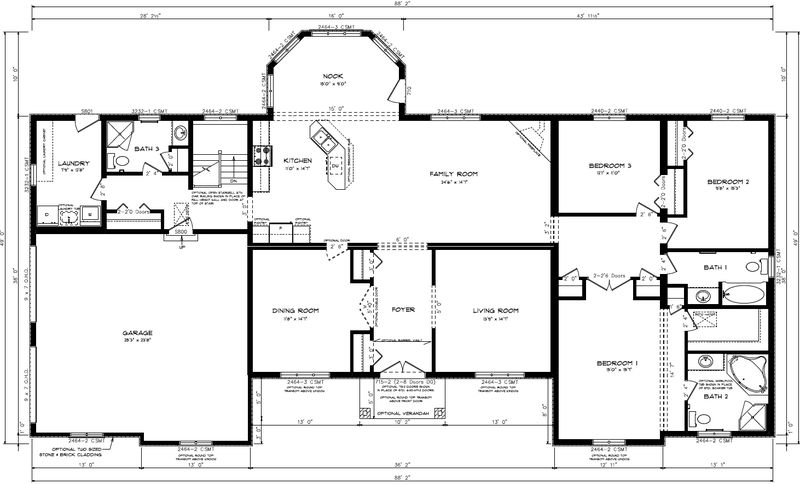 At the height of luxury, this practical three-bedroom design offers a spectacular vaulted entryway leading to a formal dining and living room. The heart of this home is the kitchen which overlooks a beautiful great room and two-sided fireplace. 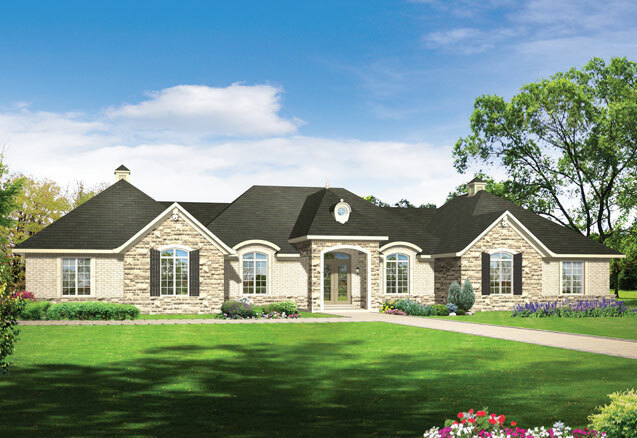 You can change the look of this magnificent home by adding a verandah or by changing its exterior from stone to brick.